iPhone mockup is becoming more and more useful for mobile app developers nowadays that it can be used to present App screenshots to the audience for showcasing all aspects of an App. Not only apps, web designers can also show the visitors how the responsively designed web pages work on an iPhone device. Today I’m glad to share with you a hand-made collection of well designed Legacy iPhone mockup templates that include iPhone5, iPhone 5S, iPhone 5C, iPhone 4, iPhone 4S and upcoming iPhone 6. Some of the iPhone mockups are vector shaped in AI or EPS files, while the others are fully editable in fully layered PSD files. Please check the file formats to decide which one is fit your needs before starting downloading. 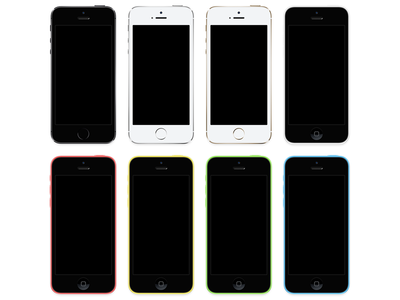 All the iPhone Mockup templates listed above are free for personal use. Free free to use these iPhone mockup templates for your next project. I hope you like it and enjoy it.